BTR6300B : 3.7 volt 1300mAH Li-POLY rechargeable battery for HTC, T-Mobile, Sprint, Verizon, etc. Home > Cellphone-Smartphone > HTC > BTR6300B : 3.7 volt 1300mAH Li-POLY rechargeable battery for HTC, T-Mobile, Sprint, Verizon, etc. 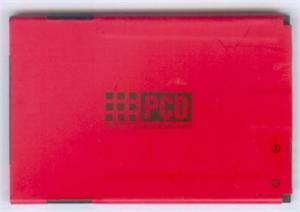 BTR6300B - 3.7 volt 1300mAh Li-PO RED battery for HTC, T-Mobile, Sprint, Verizon phone. Replaces original part #s BTR6200B, BTR6300B, 35H00127-02M. Fits DROID INCREDIBLE, DROID Eris, EVO 4G, HTC Evo 4G, Touch Pro2 (US Cellular), Touch Pro2 (Sprint), Touch Pro2 (Verizon), Tilt 2, Imagio, Snap (Sprint), Hero, Touch Pro2 (T-Mobile), Touch Pro2, Verizon Ozone / T-Mobile Dash 3G.